Truck accident cases must be handled very differently than car accidents, and Michigan lawyers must be familiar with the latest truck driver requirements and regulations to recover full compensation for injured clients. An important rule change will now directly impact how attorneys litigate truck accident personal injury cases in Michigan. 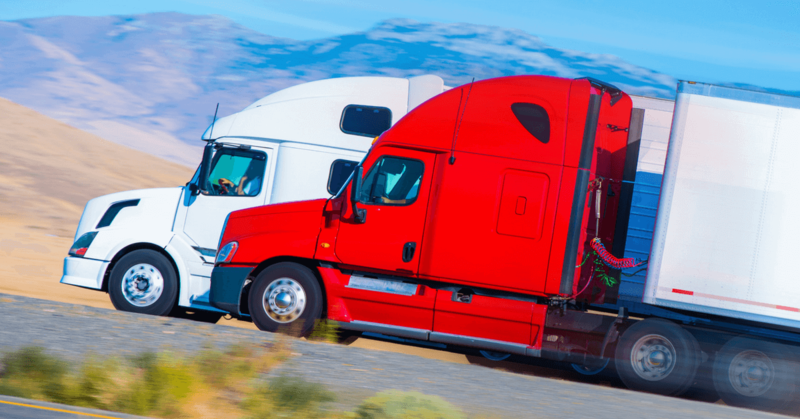 When a truck accident occurs in Michigan involving a Canadian truck or Canadian driver, a Michigan lawyer can file a lawsuit naming both the company and the driver. The lawsuit can be filed in federal court (in Michigan). But many Michigan lawyers handling truck accident cases are not aware of this recent change in federal law. This new rule change can affect important theories of liability, and compensation for injured clients. This change also means that many Canadian truck drivers crossing the border into Michigan are now violating federal and state motor carrier safety laws. What does this new truck driver requirement mean? Now, when a Canadian truck driver causes a serious truck accident in Michigan, a Michigan lawyer can plead additional legal causes of action including negligent entrustment, negligent supervision, and, depending on how often the Canadian trucking company is coming across the border, even negligent hiring. These new legal theories can add value to settlements on behalf of injured clients. This new requirement, of course, applies to more than just Canadian trucking companies. Truck drivers from Mexico and even U.S. based companies who employ foreign born drivers will also be subject to this English language requirement. Too many serious and preventable truck accidents have occurred when truck drivers are unable to read and speak English, and have failed to understand road signs or verbal commands. As a Michigan attorney who has litigated many truck accident cases, I know from personal experience that many Canadian trucking companies are violating this safety rule. Regretfully, we’ve seen far too many cases involving Canadian trucks crossing the border and causing serious personal injury to Michigan residents. Many Canadian truck drivers speak fluent French, but are unable to converse in English. In fact, as a truck accident lawyer, I have taken numerous depositions of Canadian truck drivers (in Canada) with an interpreter present due to the trucker’s inability to converse in English. For Detroit lawyers who have many cases in the Detroit metropolitan area, this new language requirement will also be important. In and around Detroit Michigan there are many truck drivers from Albania, Bosnia, and other countries who own and operate small operations that sub-contract with larger trucking companies in Michigan or shippers and load brokers. Again, from personal experience, many of these foreign born truck drivers are unable to speak English sufficient to converse and will fail this new driver requirement. Many of these Detroit area truck drivers are running small operations with conditional truck safety ratings (a conditional safety rating means that the truck owner does not have adequate safety management controls in place). Sometimes these truck drivers operate without insurance. When this happens, a Detroit injury lawyer should then consider adding the load broker or contractor to the lawsuit (a load broker is the person or company that hires these smaller companies or independent drivers and takes a percentage or cut on the payout per mile that the shipper is willing to pay). As this year’s Chair for the Interstate Truck Litigation Group of the American Association for Justice, I maintain this blog to help further one of our founding principles: educating lawyers to understand that truck accident cases are far more sophisticated than normal car accident cases. Please bookmark and share this to help Michigan attorneys obtain the best possible recovery for injured clients, through better understanding of truck driver and company safety regulations.